We have all daydreamed about winning the lottery. The only question that remains is what you would end up doing with your newly acquired stash of Bordens (doesn’t quite have the same ring to is as Benjamins, now does it)? Would you pay off your debts? Take an early retirement? Give some money to your family back home? Or perhaps buy a fresh new copy of 10 Things Not to Do After Winning the Lottery, for Dummies. 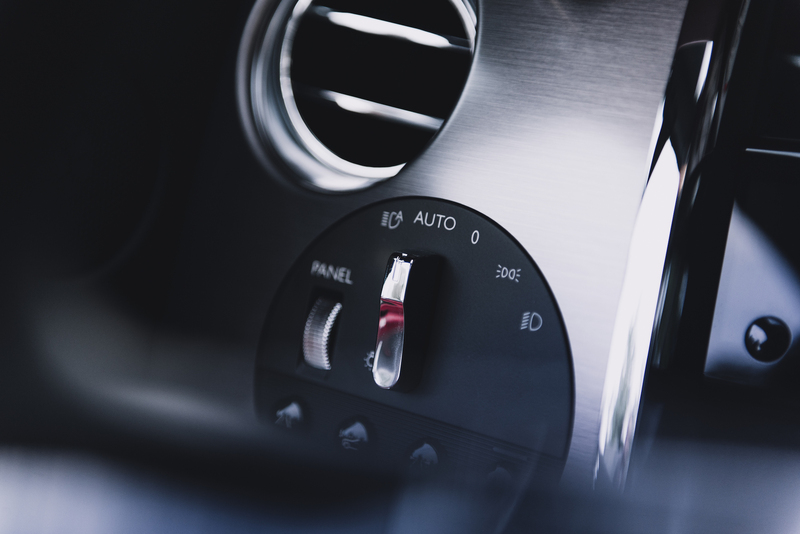 But for the rest of us auto geeks, our daydream takes us elsewhere. For us, the first thing we ask ourselves (and trust me, we do every day on the toilet) is what car we would buy with our lottery winnings. Some of us fancy a rotating garage filled with Ferraris and Lamborghinis. 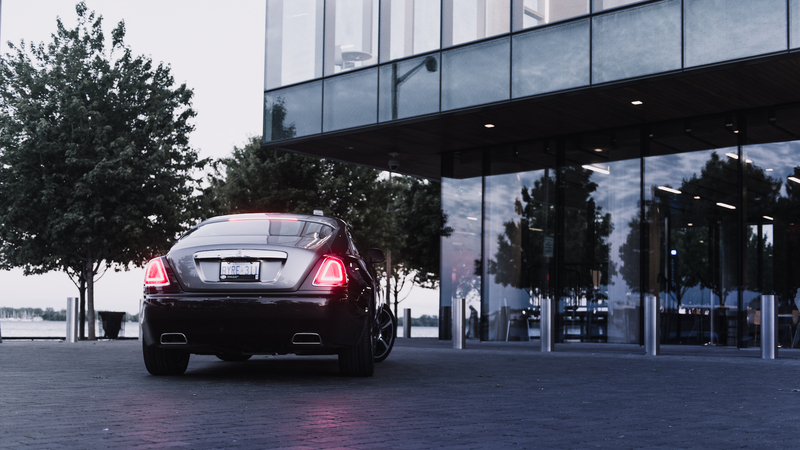 Others prefer a sleeper approach with cars that fly under the radar, like a Lexus LS or a Hyundai Equus. Me? Well if I had a million dollars to spend, I’d choose a car that borders on being ostentatious. 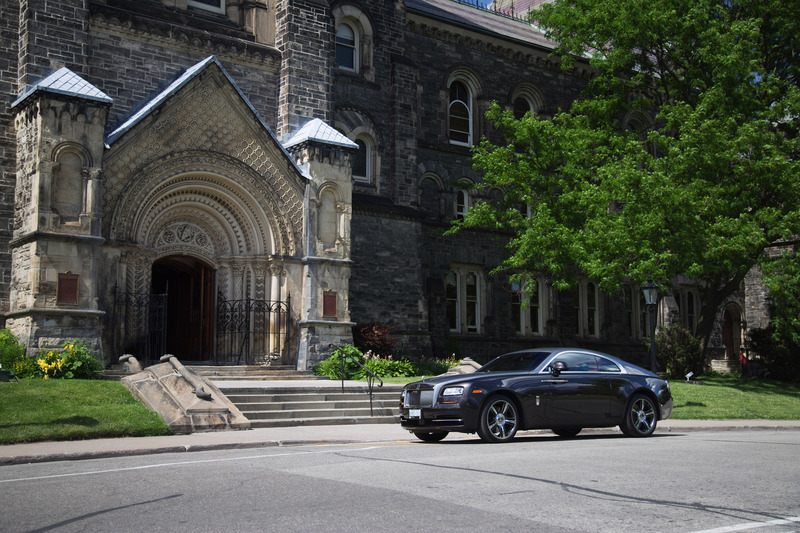 Okay scratch that – I want a car that is the definition of being ostentatious. 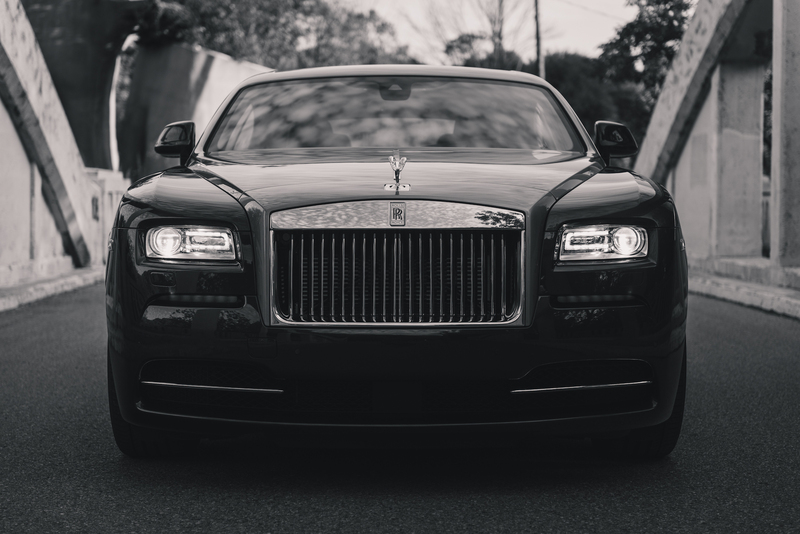 I want a car that is classy enough for a king, and expensive enough for a celebrity. For all my wishful thoughts and sessions in my sanitary comfort station, there is one vehicle that consistently makes a déjà vu appearance. 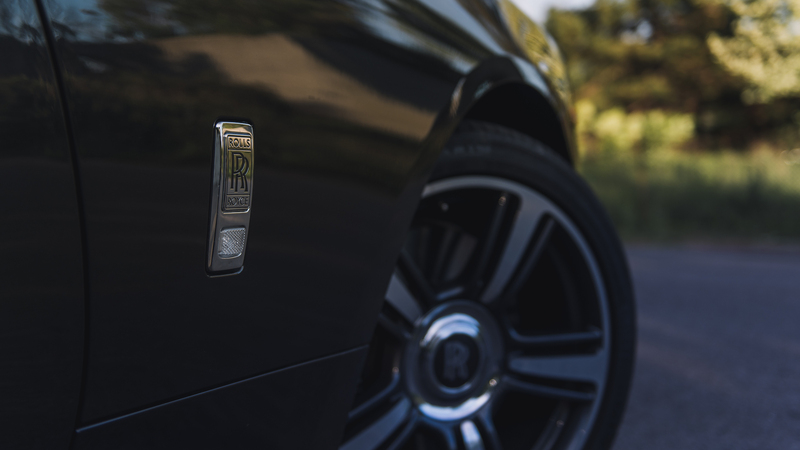 Rolls-Royce calls it the Wraith. 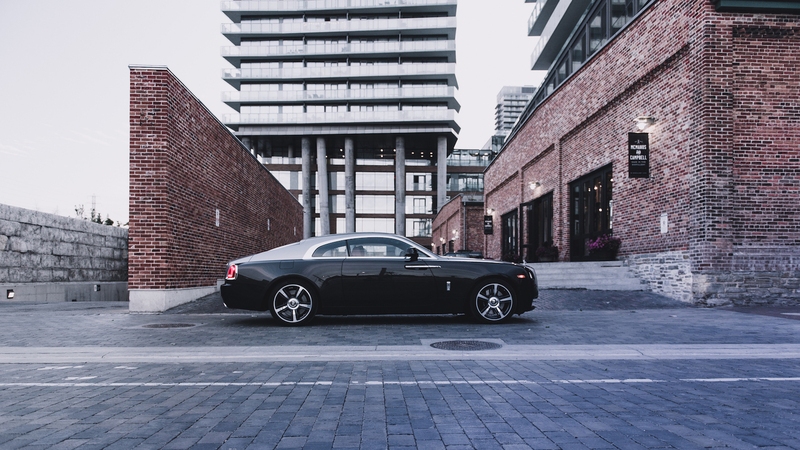 Poised with a fastback roofline, a two-door coupe design, a mouth-watering V12 engine that produces 626 horsepower, and a price tag close to half a million dollars, the Wraith is a rolling obelisk of stunning quantitative numbers, and we’ve been lucky enough to be given access to one for a few days. You’d be splashing water on your face too. Naturally the first thought in my mind was, where exactly do you take a car that is worth more than your average condominium? “Follow the fancy cars,” my girlfriend told me. 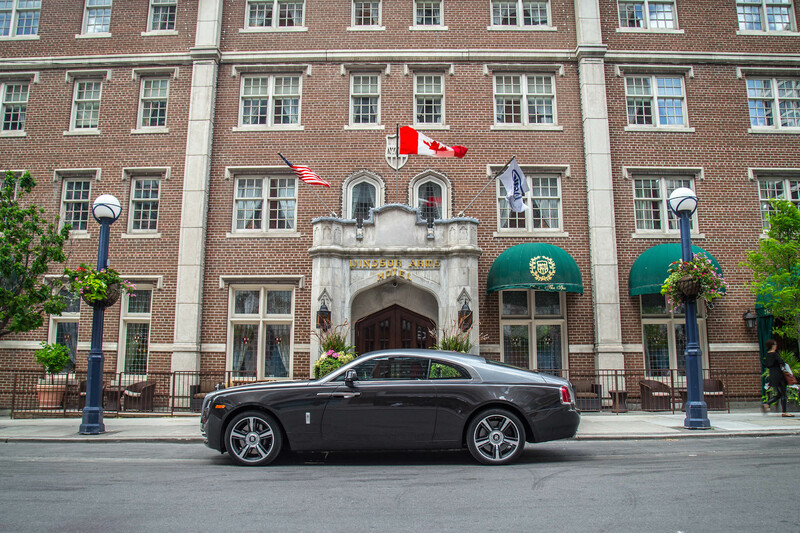 And instinctively we found ourselves cruising around Yorkville, a city block where celebrities, millionaires, and tourists alike come to park their precious cars and fill their bellies with wagyu beef and vintage wine. 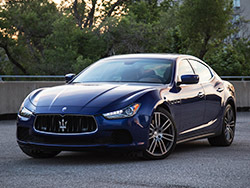 Safely parked on the side of the street – and I say safely because this thing is longer than a minivan, heavier than a Range Rover, and the front hood is so long that I’ve been using the Spirit of Ecstasy hood ornament as a yard stick – I look back and admire. 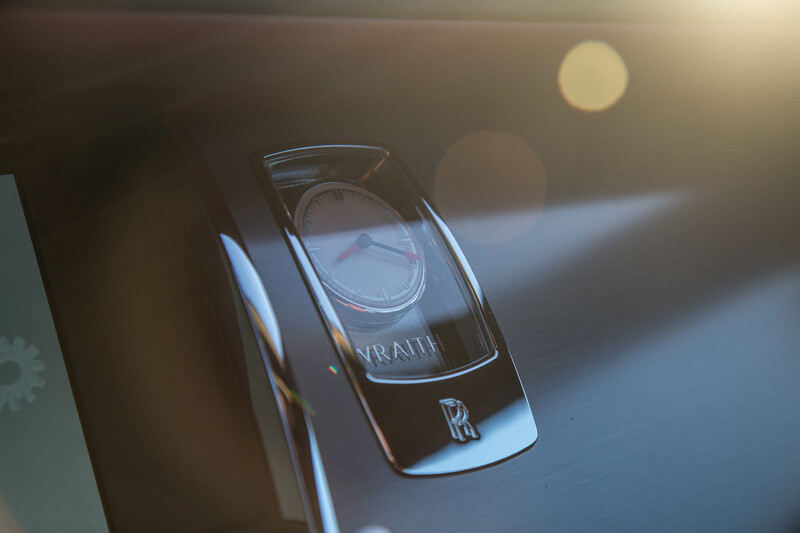 It’s one thing to drive the Wraith. It’s another to spot one in the wilderness. 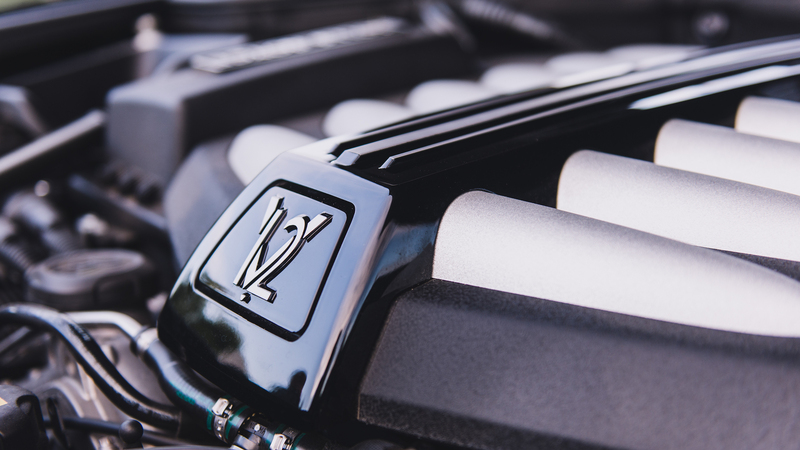 The dominating Pantheon grill steals the show, while other aesthetic goodies please the eyes: the classic 2:1 proportions of the wheels to the body, rear-hinged coach doors (aka. suicide doors) that are power operated with the touch a button, almost like having an invisible Alfred Pennyworth at your service, and those RR center wheel caps that always stay upright when driving thanks to a weighted bearing. 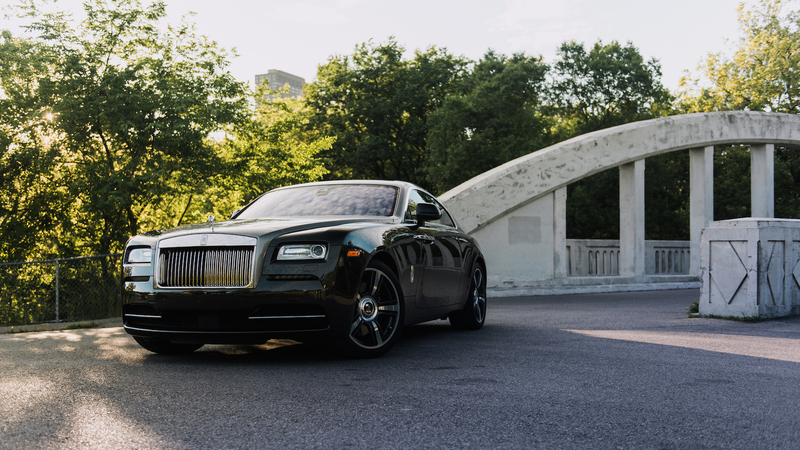 Heads turn, eyes roll, and jaws drop when the Wraith arrives in town and evokes its grandeur – there is no shortage of emoticons to describe every passerby’s reaction on our way to dinner. I can’t even think of any fancy words or illustrative idioms to do the Wraith any justice, so I’ll just let our pictures describe the thousand words. 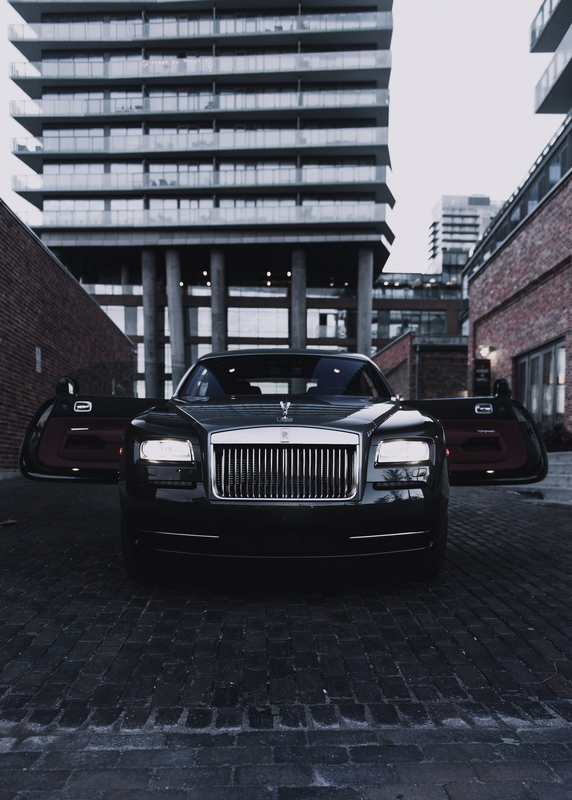 As we exit the Wraith, I reach into my pocket for the key fob and lock the car. 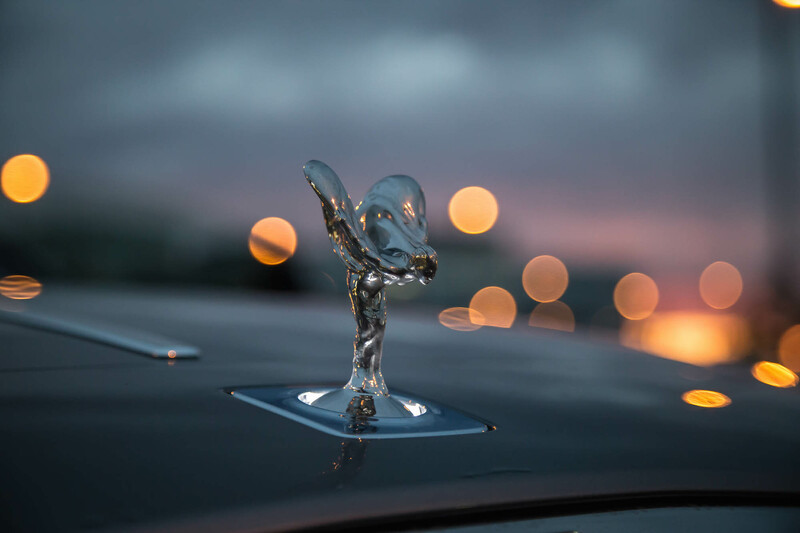 As the lights flash in confirmation, the majestic Spirit of Ecstasy slips and hides away into the grill for safekeeping. Remember how Mrs. Doubtfire plucked that man’s Mercedes-Benz hood ornament in marital resentment? You don’t have to worry about that here. 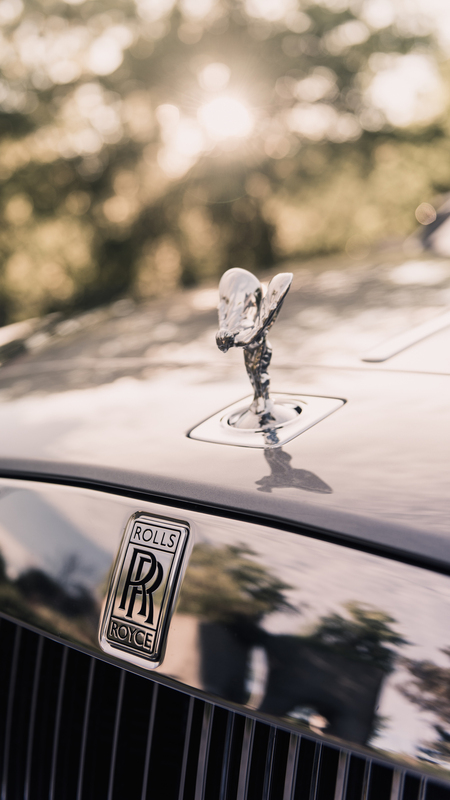 Every Rolls-Royce has pressure sensors that will retract the “Flying Lady” if someone tries to yank it out of its socket. After a leisurely stroll checking out the neighbouring Bentleys and Range Rovers, we found our way into Buca, a seafood-heavy restaurant located deep inside the Four Seasons hotel. The décor was warm, the ceilings were high, and the menu was cryptographic. Luckily our waiter was patient enough to explain and describe each of the dish names on the menu. I’ve never heard of branzino before, but apparently Buca has. Thinly sliced and plated tableside, the entire raw cured fish is a sensory delight with a rich texture filled with flavours of lemon and olive oil. It is there that we also happily indulged in foods I never knew existed, like octopus salami and lobster sausage. Sitting near the window, I glanced at the darkening clouds wafting their way towards us and devouring the innocent blue hue – the harbinger of rain and wet shoes. Lucky for me, I checked the weather ahead of time. 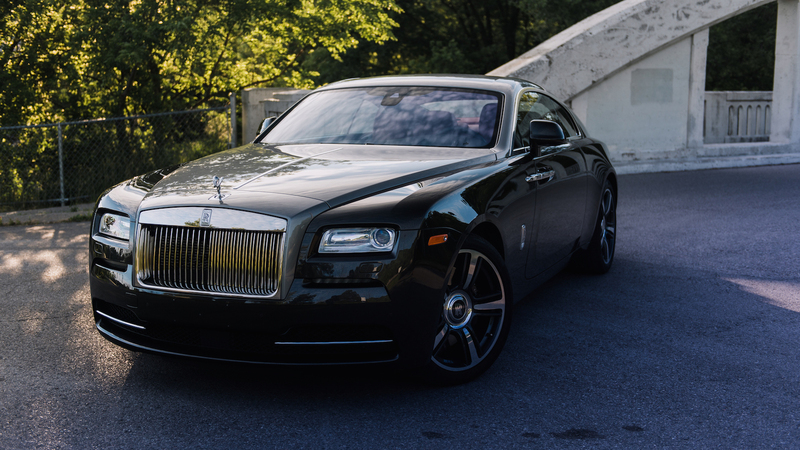 You see, the Wraith comes with its own umbrellas neatly stowed away in a recess within the front quarter panel. 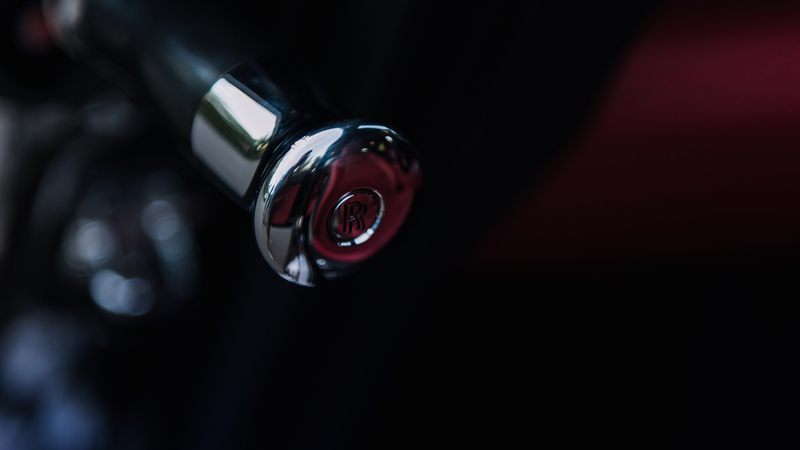 And don’t worry about stashing it away when it’s wet either – the umbrella is Teflon-coated, a material that dries quicker, and is also blowdried by the engine heat passing through the storage area. Placing my Centurion card on the table (yeah, right), we pay the bill and race to the Rolls before the torrents sweep us away. Rained in and safely trapped in our automotive bubble, we take a few moments to fully absorb the cabin’s brilliance. Even with the rain pouring down, we hear nothing but faint trickles on the roof. 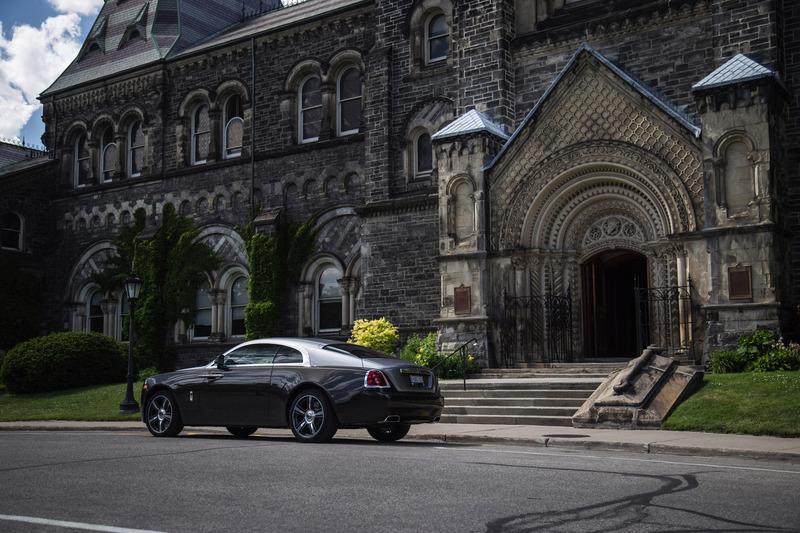 The Wraith is as quiet as a basilica. We take the opportunity to feel up the surfaces – every detail is tactile, rich, and textural. I don’t want to even know how many cows and trees have gone into making the interior this perfect. 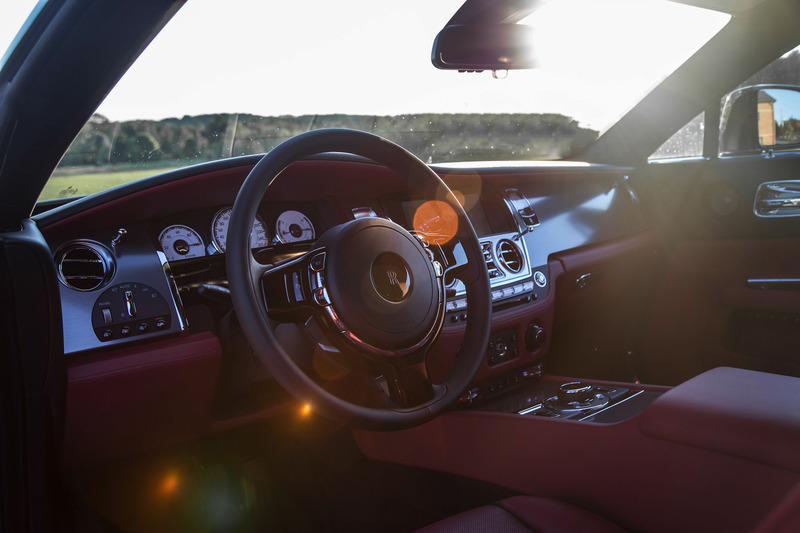 The seats are softer than pillows, the floormats are made of thick lambswool, and Rolls-Royce even lets you reach for the stars, literally. 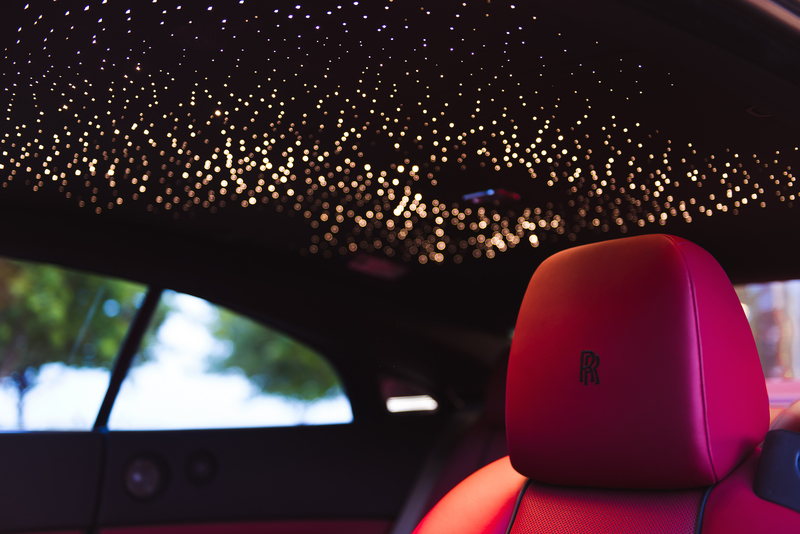 Called the Starlight Headliner, there are 1,340 dimmable fiber optic lights sketched into the headliner, mimicking the night sky. 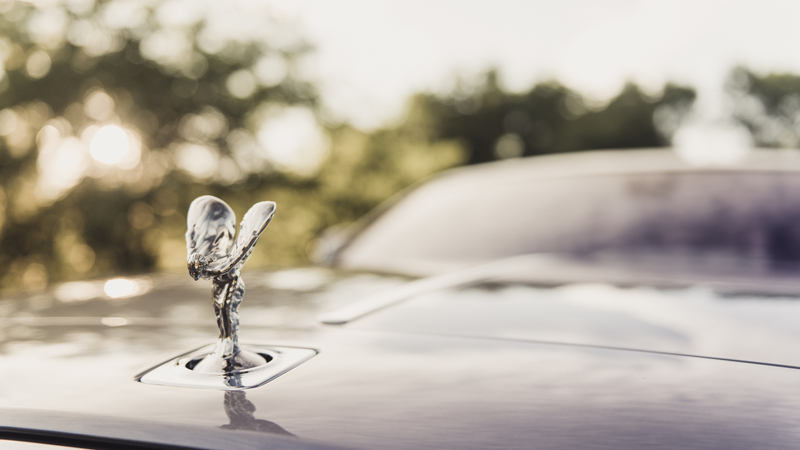 Fork over a little extra money, and Rolls-Royce will even customize it to whatever constellation you prefer. Or if you want to go truly overboard, they will even look up the night sky on the day you were born and recreate it. 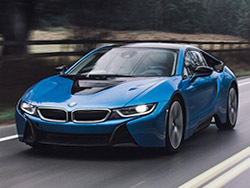 Are owners going to care that most of the cabin gadgetry and tech gizmos are sourced from corporate overlord BMW? Probably not. 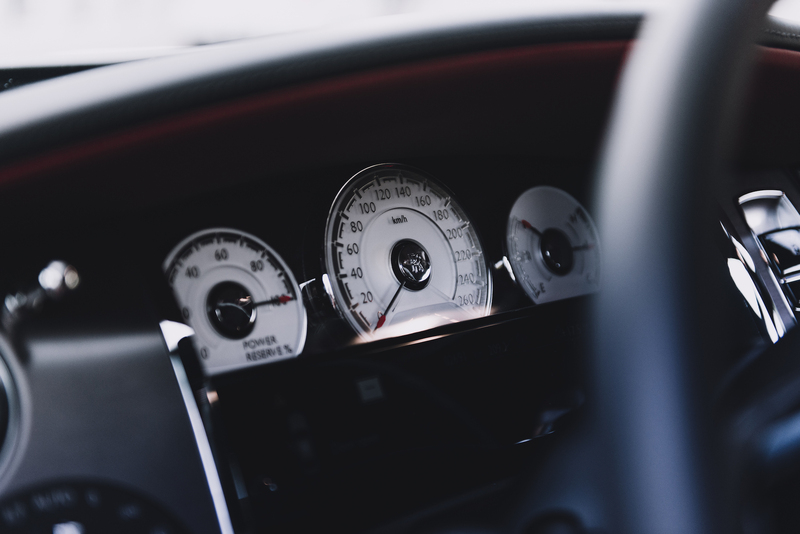 It only makes sense, as BMW has perfected the head up display, rotary dial, and infotainment system interface – so why not copy from the best? 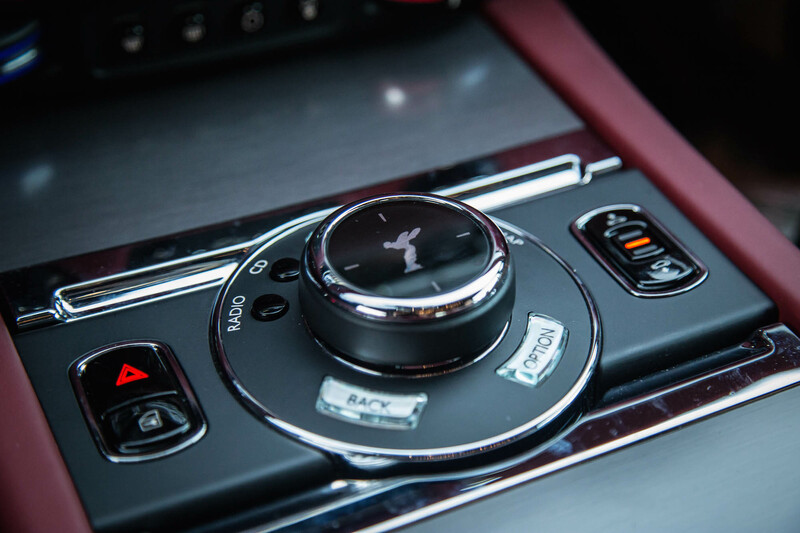 Rolls-Royce does a good job dressing it up as a Brit though, even the navigation lady has a cool British accent. 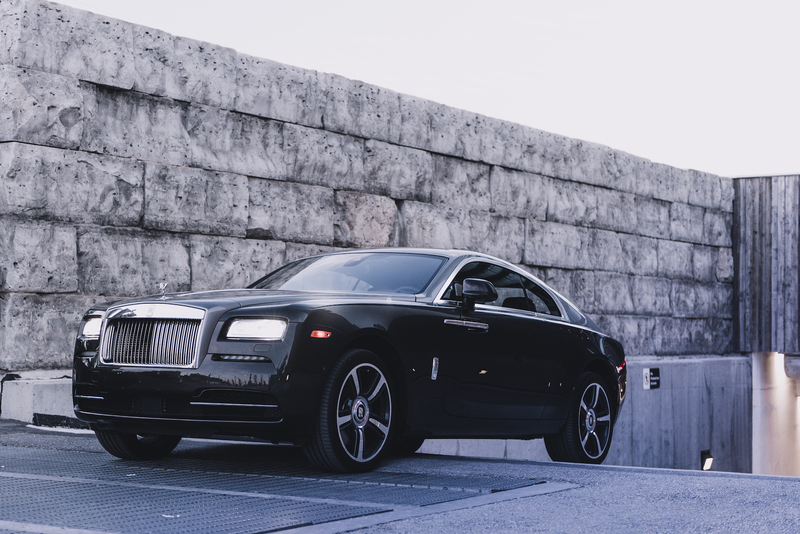 The Wraith has even got nightvision to detect wandering pedestrians and who knows, the lenses might even be strong enough to detect ghosts and phantoms. 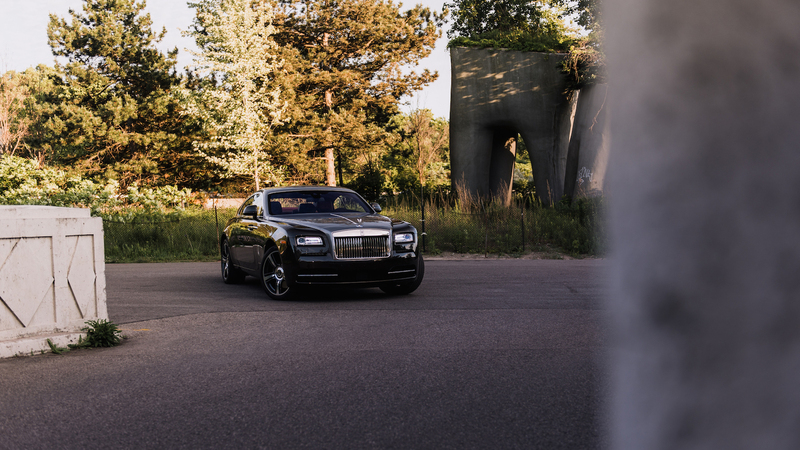 As the rain settled down, we decided to get out of the city and stretch the Wraith’s legs on some backcountry roads. I started up the engine, but nothing but a docile purr came out of the exhaust. 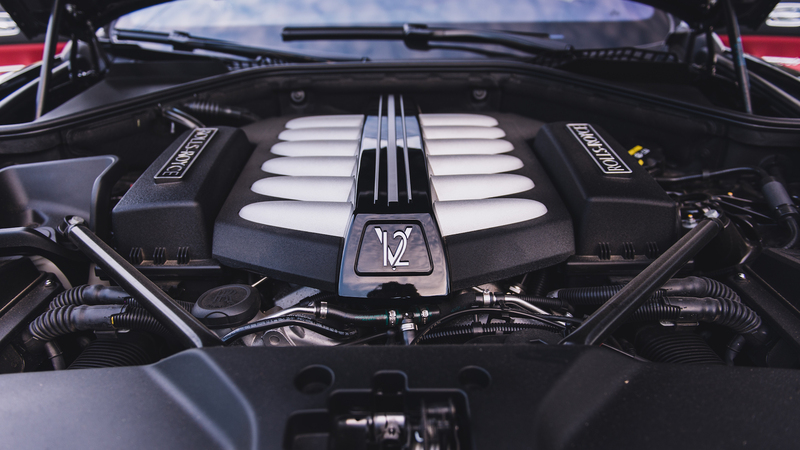 A naïve passenger would have thought the Rolls was solely powered by electric batteries, when in fact a gargantuan 6.6-litre twin-turbo V12 engine propels this giant from 0-100km/h in a staggering 4.6 seconds. Not bad for a car that weighs more than two Ford Fiestas stacked on top of each other. The Flying Lady pokes her head out the grill and shines our way forward through the thick fog. 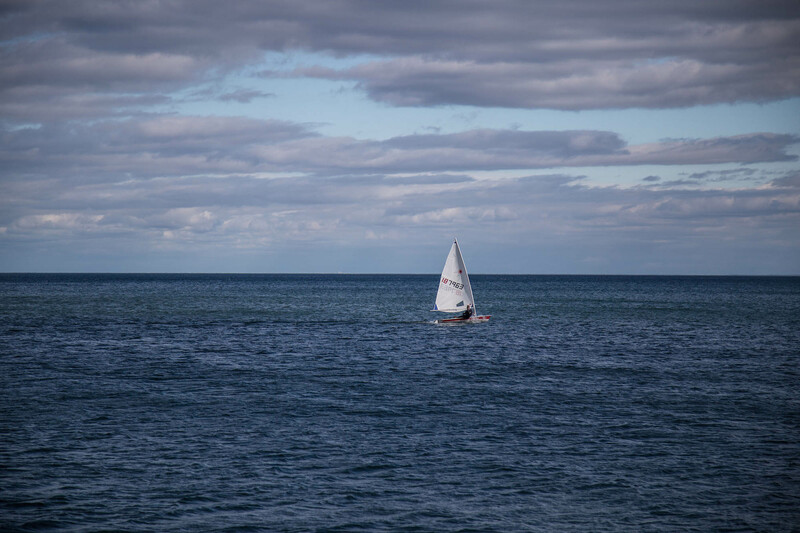 We take the scenic route west, traveling along the lakefront to enjoy the cityscape views and harbours. 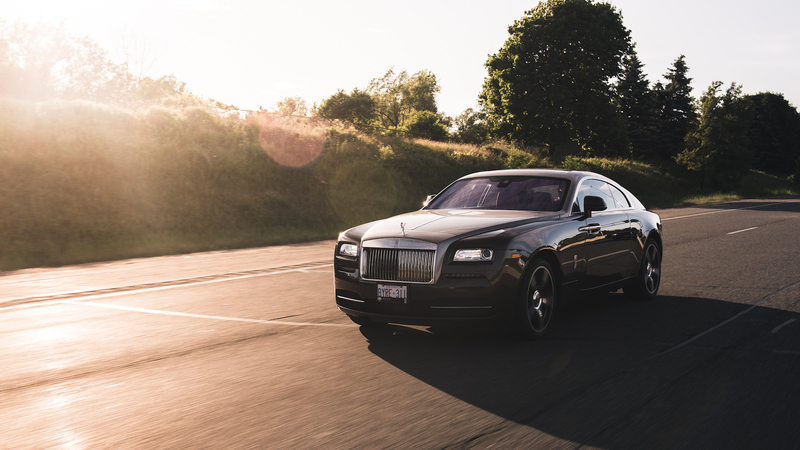 You’d expect such a large car to wallow and undulate on paved or uneven roads, but the Wraith soaks it all up. Even the most minor potholes and bumps are absorbed through the suspension, providing the softest ride I’ve ever experienced. Despite wearing 21-inch wheels, this vacuum-sealed temple is as comfortable as your stationary living room sofa. 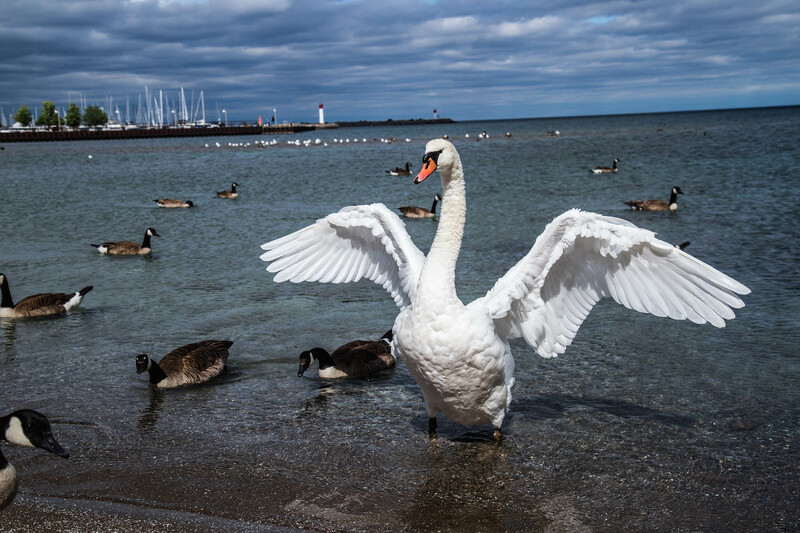 It’s in Bronte Harbour in Oakville that we spot some swans and decide to take some pictures along the shore. Convinced that we had nibbles gripped in our hands, the birds slowly crept up as we snapped away with our shutters. When the swan finally realized that we had nothing to offer, it angrily flapped its wings and gracefully dashed away. In some ways, the swan reminded me of the Wraith. It’s quite a massive bird compared to the other geese, but is surprisingly agile (and hungry). You see, Rolls-Royce took the platform from the Ghost sedan (also shared with the BMW 7 Series), and shortened it by a few millimeters for a more dynamic feel. 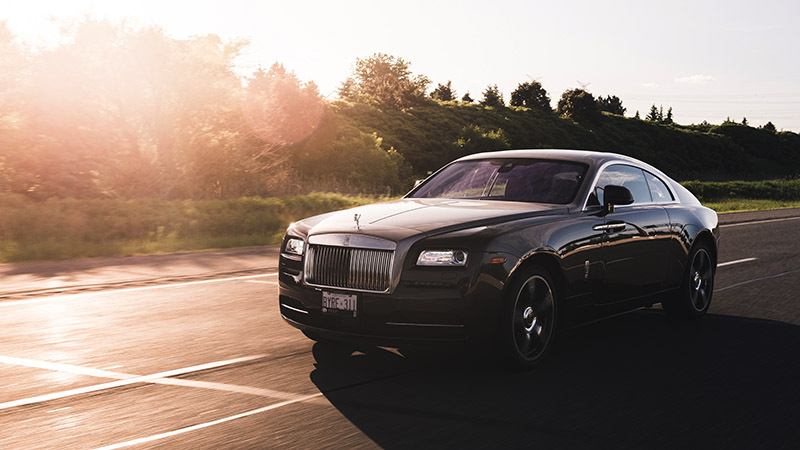 Now, the Wraith is not sporty by any means but compared with other Rolls-Royces, it is the most lithe and energetic on the fleet. 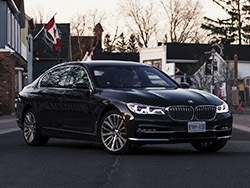 The car feels enormous on smaller city streets, but its finger-light steering and ultra smooth ride make it easy to navigate through town. Taking care not to step in green excrements in fear of messing up the lambswool, we head back to the Rolls and make our way north. 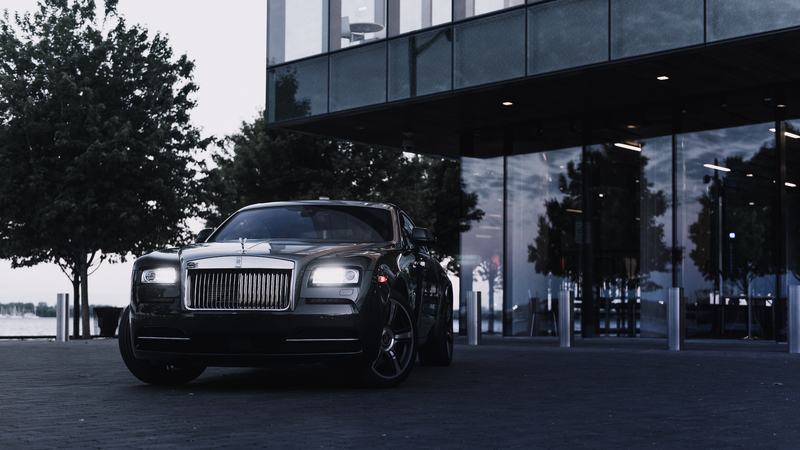 Wafting away into the sunset with bellies full of mystical fish and our pant buttons about to pop, this sensual and magnificent event with the Wraith has brought me a newfound appreciation of the brand. 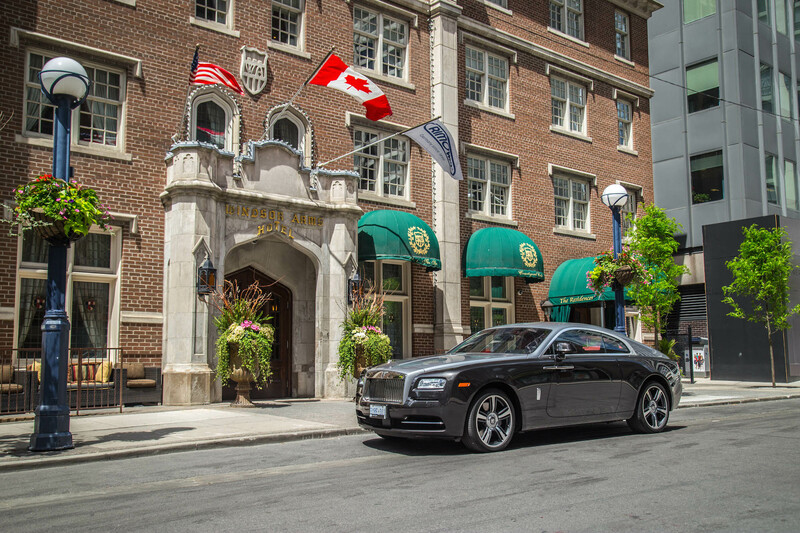 Rolls-Royce hasn’t just built a car, they’ve built an experience for a few lucky customers breathing in rarified air. Has this all been a dream then? It has been a lingering thought that hasn’t left my mind ever since I grabbed the keys to this first-class ship. If it is, don’t wake me up.